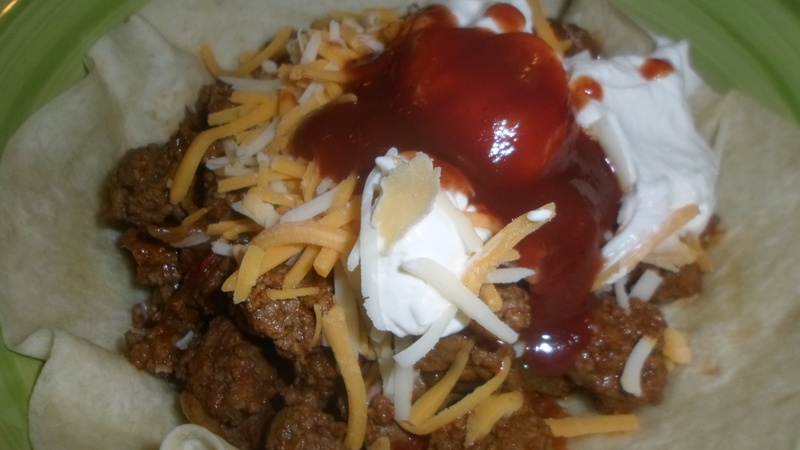 I cooked a bunch of chicken the other night that I had marinated in Frontera Key Lime Shrimp Taco Sauce (Frontera is Rick Bayless’ brand – the best!) along with yellow rice and black beans. 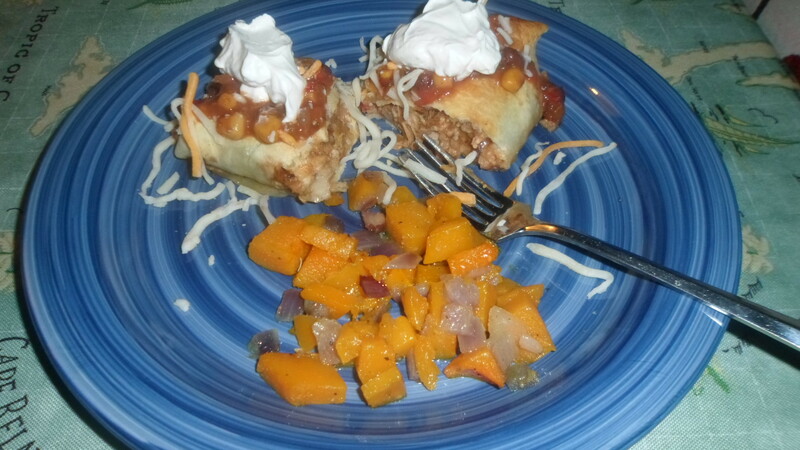 Less folks for dinner, so a boatload of leftovers – enter meal two – Burritos! 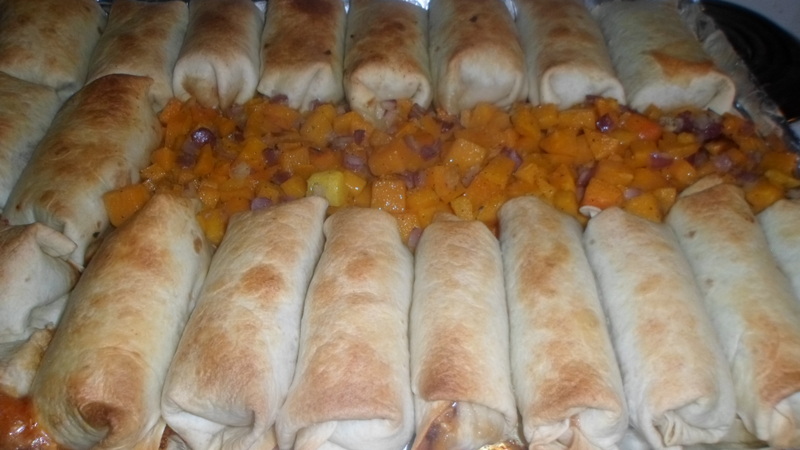 2 prepared large baking sheets – covered in foil and sprayed with coconut oil. 1. Put leftover cubed chicken in food processor and process until finely shredded. Add a little salsa, if too dry. 2. 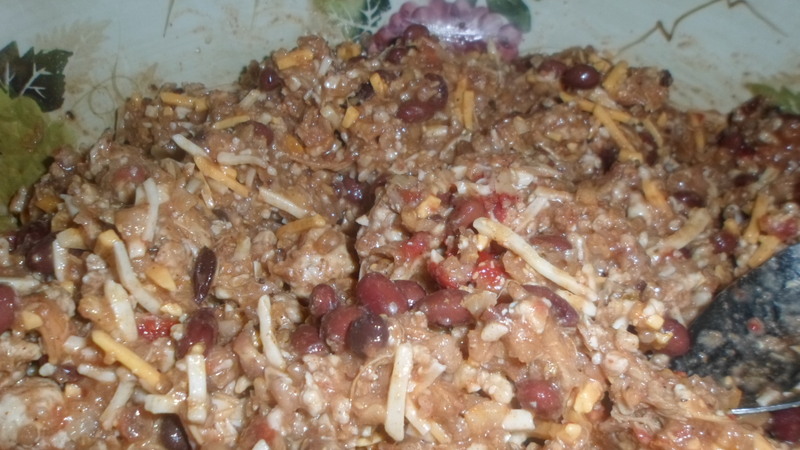 Mix chicken, rice, beans, and cheese using your hands like you’re making a meatloaf. 3. 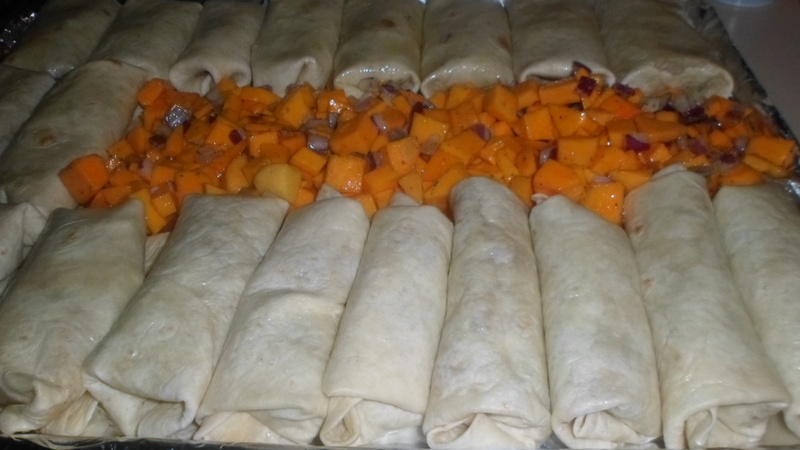 Place 1/2 to 3/4 c. mixture onto each tortilla, and fold envelope style. 4. Place on prepared baking sheets. 6. Bake at 350 for 20 minutes until golden. 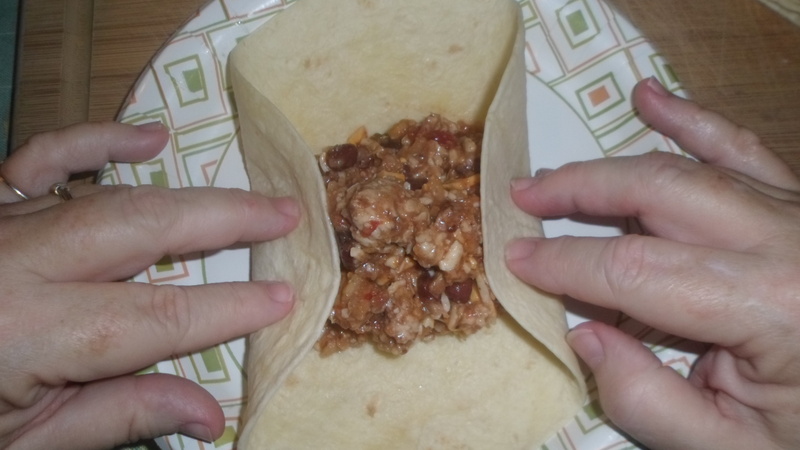 So good, the kids said to make the same meal over again specifically to have leftovers to recreate the burritos!! 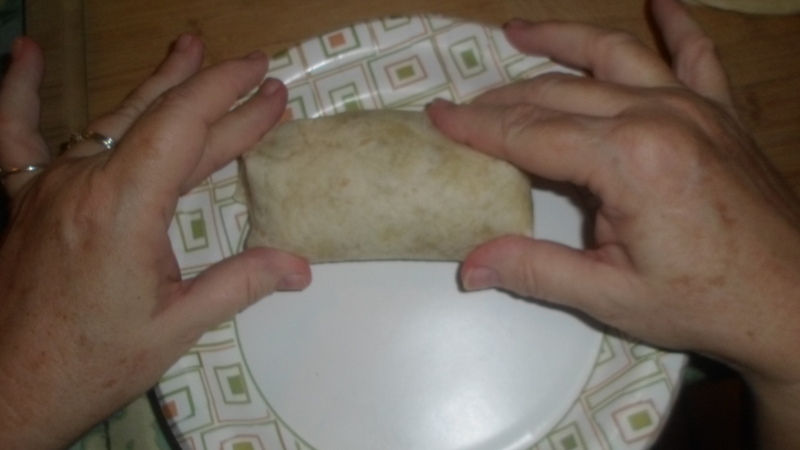 I served the burritos with salad. I kept the lettuce and watercress separate from the tomatoes and cucumbers and let everyone assemble their own salads, to save salad stuff for tonight’s dinner consisting of chicken marinated and cooked in papaya poppy seed dressing, cooked at 350F for 40-45 minutes. Another yummy, healthy dinner.